Win this app August 26-29, 2015! 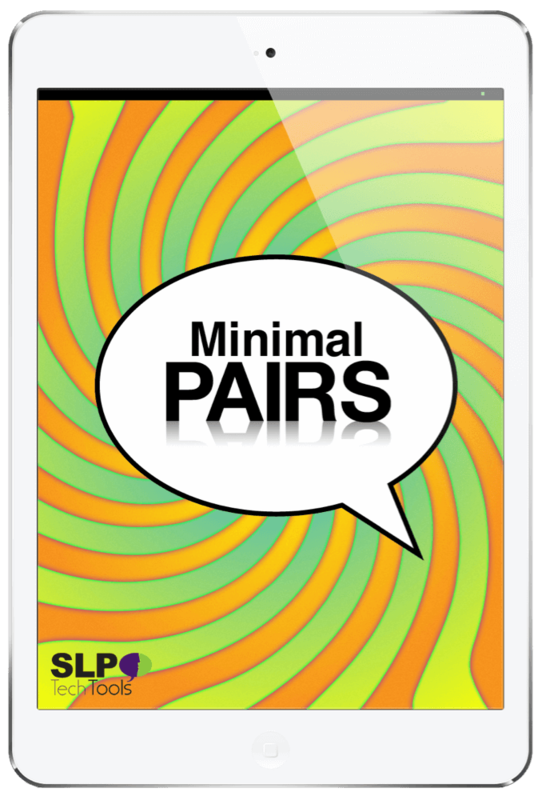 The SLP Tech Tools Minimal Pairs app is a great tool for speech language pathologists who are working on phonological and articulation disorders with children that are between the ages of 3 to 12 years of age. It includes nearly everything a speech therapist could need for therapy but is also a huge help for keeping track of data as well. I am a parent of a child with Autism. I am NOT a speech language pathologist. Therefore, I will be reviewing the navigation, design, and functionality of this app rather than the approach behind it. I am excited to go over the many different features. I also have done some research into how this app helps children with speech disorders and I’m excited to talk about how it works. This review can still be helpful to parents and teachers. Knowledge is power. Recommending this app for your child to speech language pathologists can help to improve and better therapy. So what are Minimal Pairs? I was curious and did a little more research when writing this review. Minimal pairs are words that only differ by one single phoneme or one letter/character. An example of this would be: cat and bat. As I understand it, children with a phonological disorder may not be able to decipher between the two. 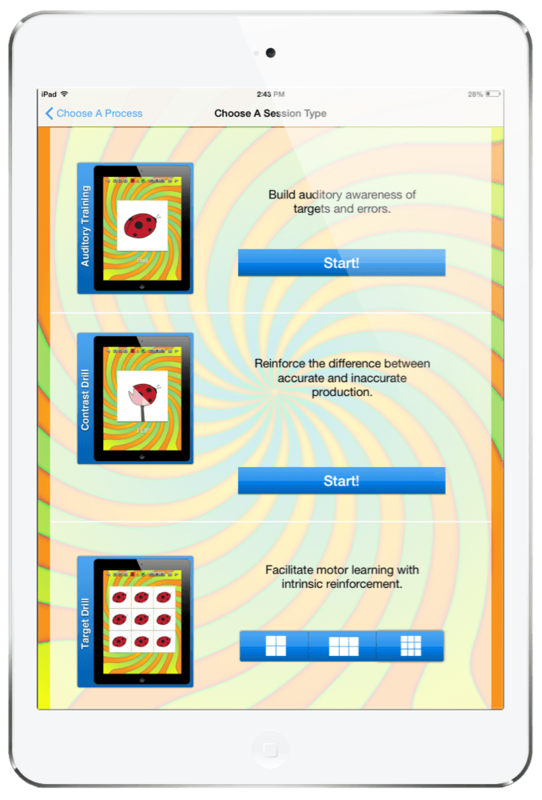 This app can help with any phonological or articulation disorder. To begin, simply open the app. That’s easy enough right? There was a brief loading time but it wasn’t terrible and once it loaded, everything else went pretty fast. I decided to read about using this app on their website a little before diving in. I did that mostly because I am not a speech language pathologist but once I read through the basics, it was easy to navigate and get everything set up. If you don’t read about it, you will still be able to figure it out. It just might take a little more exploring. You can also keep reading this review and it should fill you in on most everything. To begin, you will set up profiles for all of the clients you will be working with. I would definitely recommend setting up the profiles before you start a session. You will put their name, and their age into the form. You will also be given a few preferences to choose from for each child including: showing words with pictures, using a spoken voice, or randomly shuffling the minimal pairs. After you have set up profiles for all the kids, it is time to begin. Choose the child you will be working with, and press “Start the Session”. You have the option to work on any of the following: Final Consonant Deletion, Fronting, Cluster Reduction, Prevocalic Voicing Gliding, Stopping, Depalatalization, Deaffriction, and Gliding. Once you decide which one to work on, you can choose between 3 types of drills: Auditory Discrimination, Contrast Drills, and Repetition Drills. A very smart feature in the app is the ability for the therapist to be in control. The settings face the therapist and the drill activity faces the child. That’s why the settings are upside down. The therapists can decide to let the child hear the word audibly or just when they need help. They have control over recording the session or turning it off. 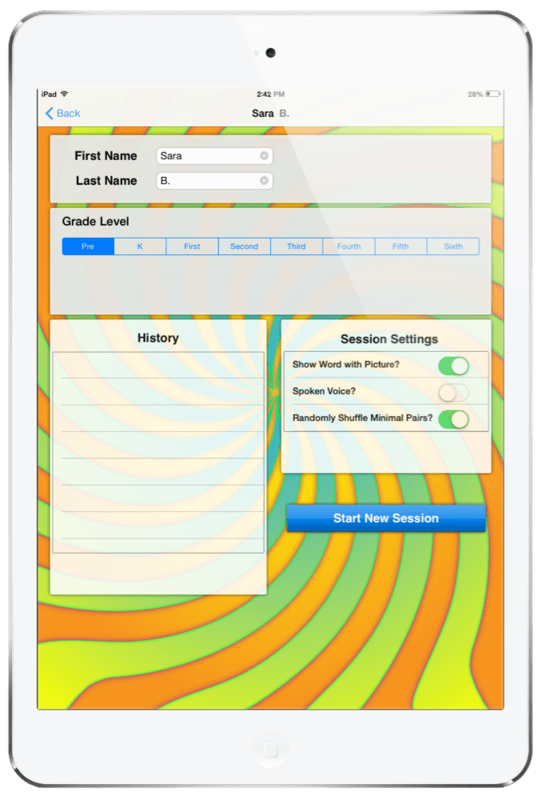 They can choose from a number of features during the session. Overall, I think this app will benefit and assist all speech language pathologists in providing great therapy, appropriate goals, tracking progress, and staying organized. I think the program overall. It isn’t the easiest navigation I have used and so you might have to look around a little. The app is very comprehensive and it is full of great features. I found the background screen a little distracting but it also pulled me in at first. I think making it an option to change the background in the settings menu would be a great addition! 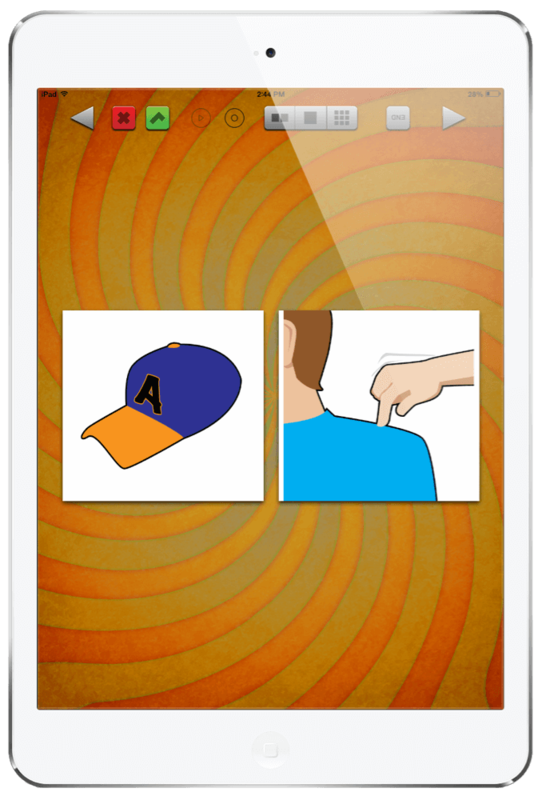 Be sure to enter the SLP Techtools Minimal Pairs giveaway on the Touch Autism Facebook page and download your copy of this app in the App Store today! At the time of writing this review, SLP TechTools Minimal Pairs! retailed for $29.99 in the app store. SLP Tech Tools is the developer of this app. In addition to this app, they also have Drillaby, Drillaby Pro, and Drillaby Remote that are definitely worth checking out!